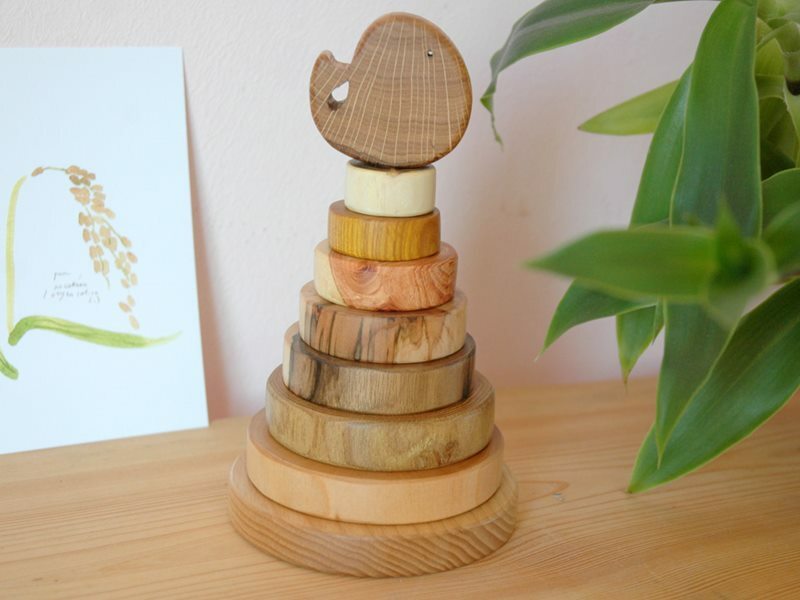 These beautiful wooden stacking toys, handmade by MamumaBird, make a perfect gift for new parents-to-be at their baby shower or a baby or toddler gift anytime. Made with natural wood, edible linseed oil and beeswax, each of these gorgeously unique stacking toys vary in wood texture and color, making every stacking toy a one-of-a-kind treasure. The toppers are especially cool, featuring such items as stars, whales, flowers and more. Perfect for helping a young child improve fine motor skills and coordination, this toy is as educational as it is lovely. These beautiful wooden stacking toys, handmade by MamumaBird, make a perfect gift for new parents-to-be at their baby shower or a baby or toddler gift anytime. Made with natural wood, edible linseed oil and beeswax, each of these gorgeously unique stacking toys vary in wood texture and color, making�every stacking�toy a one-of-a-kind treasure. The toppers are especially cool, featuring such items as stars, whales, flowers and more. Perfect for helping a young child improve fine motor skills and coordination, this toy is as educational as it is lovely.